NigerianSportsBetting.com is part of a national network of sports betting review sites, which provide country-specific information to consumers about online sports betting. On the surface, most Nigerians would likely think that betting with the Naira would be advantageous. After all most nationalities tend to seek out sportsbook services that offer betting accounts in their native currencies to save on currency exchange fees. However, there are several differences between those countries and Nigeria and these differences account for why customers from more developed nations are well-suited to bet in their own currency, while for Nigerians, it actually makes more sense all around to wager in another currency. No Naira e-wallets: The only popular e-wallet solution that provides service to Nigerians is Neteller. However, Neteller does not offer Naira account balances. If you wanted to use Neteller to fund your account due their quick and secure service, you’d need a betting account balance in Euros, Pounds or US dollars, meaning you’d need to exchange funds anyway. The Naira betting sites also offer these currencies, but if you want to use Neteller and will bet in another currency anyway, you will be better off choosing a world leader in sports betting to get a better experience. Expensive to fund your account with Naira: If you really do want to bet in Naira and fund your account using a credit card or ATM card, you will be assessed with a fee over and above the amount you wish to deposit. This could be a flat fee from 1.5% to 8.5%, or your credit card company could treat your transaction with the betting site as a cash advance, meaning interest may accrue on your transaction from the moment it occurs at your current card interest rate, likely over 20%. In other words, if you want to deposit N1,000 you’d actually need to pay a significant fee to use your card. Low Naira Winning Limits: If you want to play with a Naira betting site, you will be subject to their very low winning limits. The highest amount most Naira betting sites will payout is N1,000,000 or the equivalent of about USD5,000. Anything above this amount will be rounded down to this limit. All my recommended betting sites are authorised to pay out significantly more money than that. I outline specific winning and betting limits on my page about high limit betting. High Minimums: With some Naira sportsbooks, the minimum bet is N50 or about USD2.50. Most all of our listed betting sites have a minimum that is the equivalent of USD1.00. If you just want to play and like to spread your stake money around, the Naira option is far more restrictive. Lower-paying odds: Put simply, the companies that compete to serve the world have more competitive odds pricing than the company that only hopes to serve Nigeria. When you win, you want the most for your stake amount. You won’t get the most for your money with almost any Naira sports betting site. You can have a look here to compare the best odds from a selection of our online sportsbooks. They need to appeal to bettors around the world and their high paying odds are available to you too. Us a service like Oddsjet to compare odds quickly. Even long-established international sites differ by their odds. Risk of winning bet cancellation: have a look at the “Rules” section of a Naira betting site. You will note many clauses that allow the company to cancel your bet. While they likely would not make a habit of cancelling your winning bets, these rules exist so they have the option to do so if a particular match result leaves them in a poor financial state. Reputable, UK and offshore sportsbooks do NOT have these types of broad cancellation clauses. The reason for trying to bet in your own currency is to save money on currency exchange fees when moving money between your betting account and your bank account. However, despite depositing Naira, you will be assessed fees that roughly equate to what you would pay to exchange Naira to a more popular betting currency as used with the World’s top betting sites. So if betting in the Naira won’t actually save you any money, why limit yourself to a lesser quality sports betting experience? All the online sports betting sites below accept Nigerian players, offer higher odds, lower minimum stakes, higher betting and winning limits and in general a better overall experience without the risk of bet cancellations as you would risk with Nigerian-based sportsbooks. The choice has been pretty clear. If you really really want Naira betting, thankfully, a reputable betting brand in Betway has moved to offer Nigerians with a locally regulated Naira betting option. 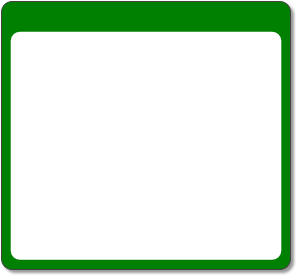 When most online sportsbooks get reviewed, the reviewing site operates in a grey area. They tend to list as many betting sites as possible and always try to include the brands that have targeted themselves to your particular market so you, the reader will recognize their listed brands. 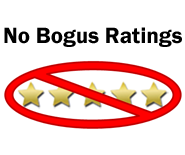 The review site will often include a phoney high grade or star rating for each site to encourage your play. However, the review never mentions why one particular site got such a high grade, nor do they mention why one site is 5-stars, and another is 4-stars. Other review sites operate in this way because they don’t actually care where you decide to play. Their real goal is to list as many sites as possible and hope that you will recognize a brand, will see the positive rating and start playing. This site reviews sportsbooks with a different philosophy. As you can see from the list at left, several of the biggest names that target the Nigerian market are not listed. The list only includes the most reputable sites based outside Nigeria, ensuring your funds are secure with highly regulated companies. Unlike other review sites, this site is not interested in listing sites with which you are familiar but have a poor reputation of winning wager cancellation or might leave your deposits at risk such as with some of the locally regulated sportsbooks. The sites listed are truly the best group of sportsbooks for the Nigerian bettor. Established companies with excellent track records of trustworthiness and fairness. Provide some of the best odds pricing on the sports that interest Nigerians the most. Provide a great user experience for both desktop and mobile betting. Offer a wide array of banking methods that are accepted within Nigeria. Offer at least some free account withdrawal methods. Provide cutting edge technology for live, in-play betting in addition to other features. If a site fails to meet all these criteria, the reviewed sportsbook is not included in the list. A sportsbook is either worthy of your custom, or not worthy, there is no grey area. I’ve reviewed over 30 of the biggest names in the business, including your local Nigerian betting sites. I’m not here to list every one of those sites, tell you what is wrong with them from an Nigerian perspective, and then hope to trade on their brand because they advertise at EPL football matches and you know their name. It just would not make sense. If I ranked the betting sites 1 through 30, would you then move to sign up with sportsbook #28? Of course not! That’s why I keep my list very short - only the best of the best. Pinnacle operates as a reduced-juice betting site. This means they do not advertise and all the savings are passed back to bettors with consistently higher paying odds on all sports. Once you are a customer, you will find a wide array of betting markets. Great for VIP, high limit bettors. Read the Pinnacle Nigeria review here. Unibet, headquartered in Sweden and serve over 10 million customers around the world. Sponsors of many top European clubs, Unibet provides some amazing sports betting with beautiful desktop and mobile platforms. If you like a football and a breadth of sports, Unibet must be considered heavily. Read the Unibet Nigeria review. William Hill is one of the oldest names in sports betting, established in 1934 and currently traded on the London Stock Exchange. William Hill covers all sports well, but football is their main sport with hundreds of betting markets for top matches. Partner of Chelsea FC. Read the William Hill Nigeria review. BetVictor has has been in business since 1946. Known around the world for the most competitive football odds, BetVictor must come under your consideration if football is your main sport of interest. Partner of Liverpool FC, they are an excellent option for betting from Nigeria. Read the BetVictor Nigeria review. 888sport is one of the oldest names in online sports betting, in business since 1997 and traded on the LSE. 888 is specially targeted to football fans and can be seen advertising across many European club grounds. Offering many banking methods, 888sport is a great option. Read the 888sport Nigeria review. MarathonBet has been operating since 1997 and has recently exploded in popularity with growth sponsorships of top English, Italian and Spanish football clubs, including the Manchester clubs. They have moved to offer the most comprehensive football betting coverage with extremely high-paying odds. Read the MarathonBet Nigeria review. bet365 covers football comprehensively in terms of the number of leagues & available betting markets. They have the most intuitive interfaces for mobile and desktop and they constantly innovate with the most advanced features for bettors. Lots of banking methods are available for Nigerian bettors. Read the bet365 Nigeria review.